Gardening can be expensive when you start buying lots of plants and pots. What if you could double, triple, even quadruple the number of plants you currently have without spending a dime? If you have a little bit of time on your hands, along with a lot of patience, you can do just that. 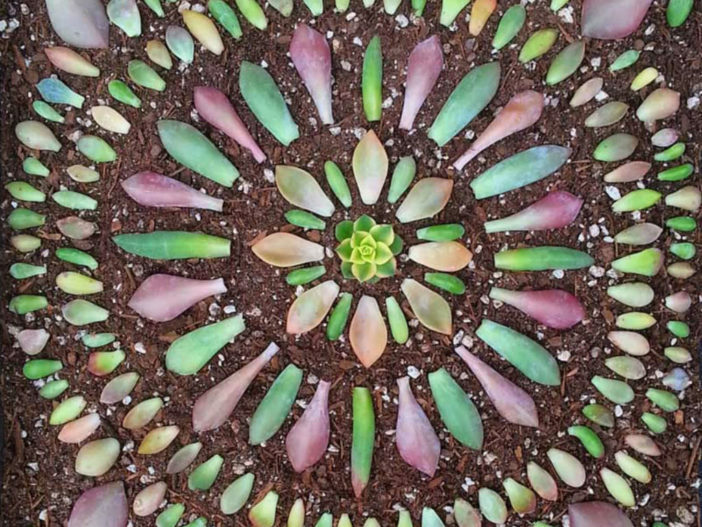 Let’s dig into a propagation of cacti and succulents! 1. Propagation is the process of creating new plants from a variety of sources. This could be from seeds, bulbs, cuttings or other parts of the plant. Cacti and succulents are very easy to propagate. You can take pups from certain species, a stem cutting, or even root new plants from just one leaf! 2. Echeveria, along with other succulents that form rosettes, are a great example of plants that can easily benefit from beheading. 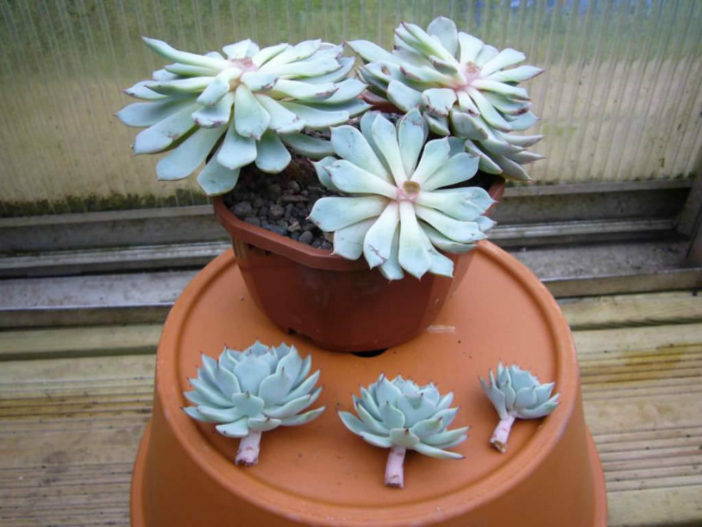 If you ever notice your Echeveria with a gangly, long stem and a beautiful rosette on top, it could benefit from beheading — especially if it seems to be slow growing or not producing as many leaves. Use a sharp sterilized knife to cut the top part of the rosette off, leaving some of the stem on it. Let the cutting sit for a few days until it forms a callous on the bottom of the stem. This is a very important step, or you risk rotted stems or leaves. 3. Once the cutting forms a callus, you can pot it in a container where it will form new roots and become a new plant. The remaining part of the stem can also form tiny plantlets at the top or down the stem, and you can eventually cut these off and form new plants in the same way. 4. Propagating from pups is probably the easiest. 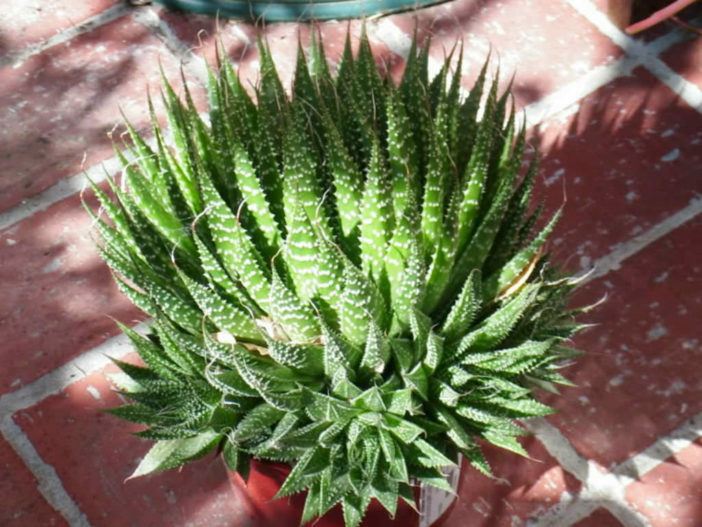 Let’s use the Aloe plant as an example of a plant that will produce pups. Have you ever noticed when they produce a small offset that looks like the mother plant? This is a pup, and you can either cut it from the mother plant or carefully twist it off. These can generally be potted right away. 5. Being able to propagate from just a tiny leaf might be surprising to the newbie gardener, but yes, you can! To try your hand at this form of propagation, take a leaf and twist or cut it from the stem. It’s very important to try to get the entire base of the leaf stalk. You can place the leaves on top of a layer of soil, where they will form a callus. This is where a shallow tray or saucer comes in handy, as it will give you room to do many at one time. It’s always smart to do a bunch, as you may only have success rooting half of them. 6. In weeks to a few months you should notice them calloused over and producing roots. If the roots are growing towards the air instead of the soil, you might just want to turn the roots to help them find the soil or plant them in their own pot. You can also try placing some of the leaves with the base of the stem inserted shallowly into the soil. Place the trays in bright but indirect light so the leaves do not scorch. 7. Your new little plant cuttings will need to be treated a little more gently than typical hardy cacti and succulents. They will not tolerate bright, direct sun. When it comes to watering, you want to first wait until they have calloused and in some cases, formed roots. Mist lightly in the beginning until roots appear, and then you can begin watering them more frequently. In general, they will need to be babied and watered a little more often in the beginning, but the soil should still dry between waterings. There can be a little bit of trial and error, depending on your individual house. A house that’s drier because of air conditioning or radiators will mean you need to water your cuttings more frequently than if they are in an area with high humidity.